As an icon in Australian literary history, May Gibbs has been written about many times over the years. 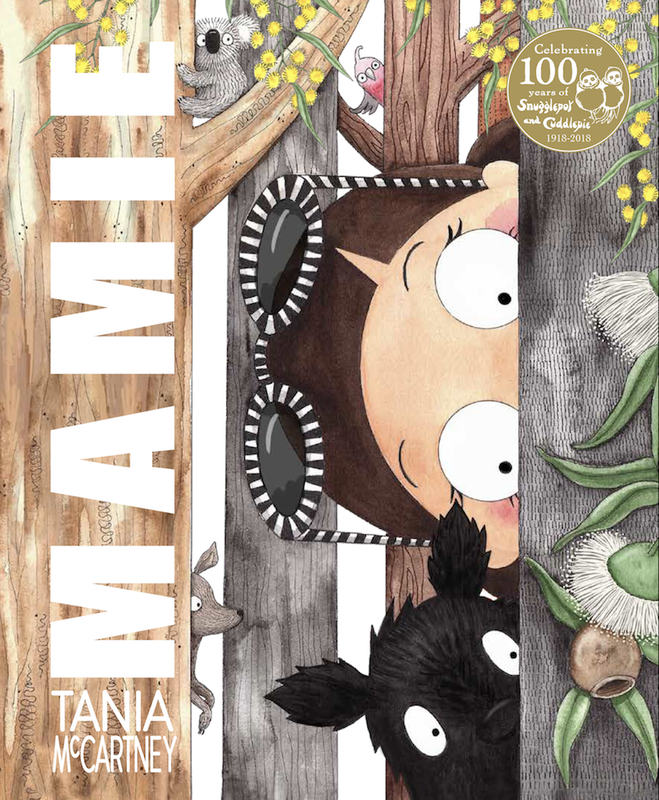 In Mamie, Tania McCartney uses her own words and illustrations to give us a fresh take on the life of May Gibbs. Tania is a self-professed fan of May and her work, so taking on this historical figure as a subject could have been daunting. However, I think she has succeeded beautifully. Tania has imagined May's life in a way that is very 'now', but also from the past, in a setting that is familiar, yet whimsical. The story merges the real world with imagination and is perfect for young children, as well as appealing to older readers. Mamie's early life, filled with paint and play, changed when her family moved to 'the bottom of the world.' Life there was different, but Mamie was a great explorer -- searching for fairies, pixies and elves -- and was eventually inspired to create the special Australian characters we know today. Mamie is filled with information that readers will take in without even realising it. Such as learning about Mamie's awards for her art, and one of her pictures being sent to Queen Victoria. The colourful illustrations are bright and cheerful, and present a landscape packed with nature, imaginary creatures and hidden adventure. There is careful use of visual elements to draw readers into exploring the book. I particularly enjoyed the appearance of numerous animals and use of floral motifs throughout (including daisies sprouting from a paintbrush). With 2018 being the 100th birthday of Snugglepot and Cuddlepie, we have an opportunity to celebrate the talents of May Gibbs, and continue sharing her legacy with younger generations. Mamie does this by paying homage to May Gibbs, but being a unique story itself. I plan on giving Mamie as a Christmas present to some little readers in my family, and recommend the same to other booklovers.